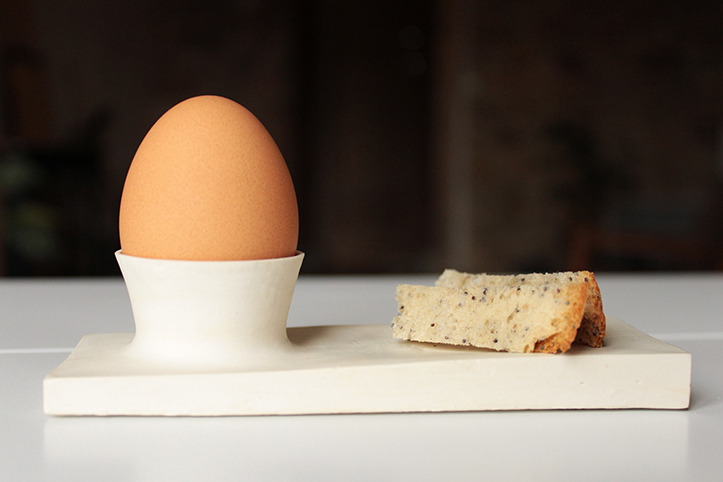 This eggcup was inspired by a childhood memorie of eating boiled eggs. 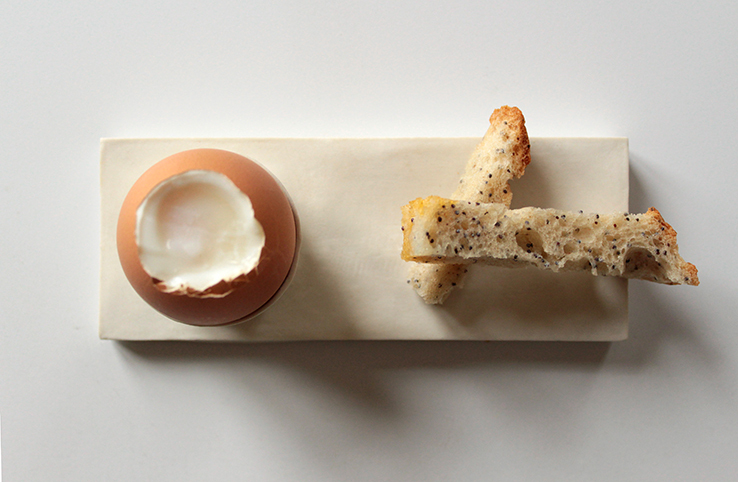 I dipped a thin slice of bread named “gendarme” in the egg yolk. 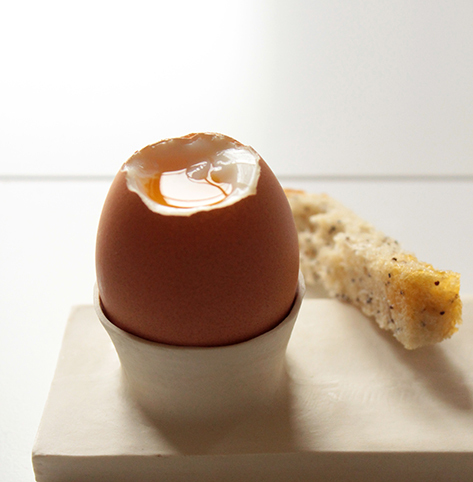 The thin layer of porcelain supports the fragile egg and gives room for the “gendarmes”.